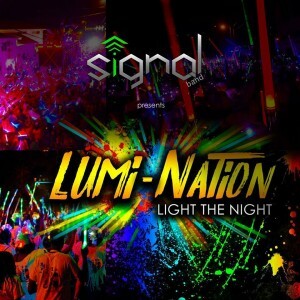 Signal Band has launched Lumi-Nation, their 2018 Carnival T-Shirt band with a ceremony held at the Flamboyant Hotel on Friday 15 September 2017. 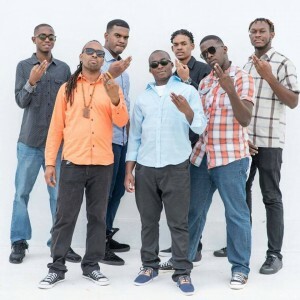 Lumi-Nation will be the first T-Shirt band launched by the Signal Band, and Band Manager, Jelanie Robinson stated after the 2017 Carnival season, they met together and developed the idea of creating a product to improve the carnival product. “After J’ouvert and carnival, we had a meeting where we decided that we needed to do something for ourselves. We can’t wait for people to call on us, we have to start for ourselves. And that’s we developed the mentality of we have to go hard or we have to go home. It was not an easy decision because we came up with a number of different ideas of what we could have done as a band. But then we struck gold with Lumi-Nation. We figured that being a young band we need to do something to enhance, not just coming on the road to perform but enhance the carnival product,” he stated. Robinson explained that the main purpose of creating Lumi-Nation is not just to perform for the carnival but to give person’s a show that they can enjoy and remember. “We plan to give patrons a show. We have enough intelligent and hardworking persons here in Dominica who can put on a show, so the main objective is not just to get persons to say Signal had a good band, but we want to create a product, we want to make people know that when they come onboard with us, and when they join this band this is what they are going to get and this is why they should stay with us,” he stated. Six artists will perform with Signal Band and Lumi-nation during Carnival 2018, including Marsha, DJ Sleem and Shelly. There will also be one international artist who will be named, along with the other two performers who will be named closer to carnival.